Overall, seven companies filed a report covering “disengagements” in the 15-month period between September 2014 and November 2015. The California DMV defines a disengagement as either the self-driving software failing and needing a human to take control, or the test driver feeling compelled to take control to avoid a dangerous situation. Disengagements are a critical part of the testing process that allows our engineers to expand the software’s capabilities and identify areas of improvement. Our objective is not to minimize disengagements; rather, it is to gather, while operating safely, as much data as possible to enable us to improve our self-driving system. Therefore, we set disengagement thresholds conservatively, and each is carefully recorded. The numbers also don’t make any recognition of improvements Google has made to its self-driving technology: the highest number of disengagements(48) occurred in January 2015, when Google’s cars drove 18,000 miles; in October, when the cars drove 47,000 miles, only 11 disengagements took place. The reports aren’t a glowing endorsement of self-driving cars: In order for robot drivers to gain mainstream acceptance, the error rate will have to be ridiculously low, and 12 potential crashes per 50,000 miles is far from perfect. 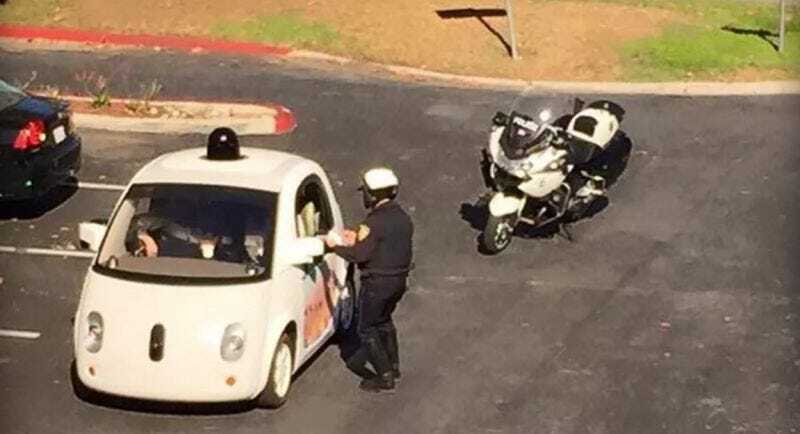 But in the space of 10 months, Google’s cars got ten times better; just imagine what a few more years of training will do.